Remember Colorforms? Here’s the perfect way to make a life size version with your Ikea furniture and Panyl! Ikea, you either love it or love it not so much (I won’t say hate it – surely no one can hate Ikea). The flipside of all the love swirling around for this Swedish flat-pack playground means that your fancy Expedit or Framstå most likely looks like, well, everyone elses. Don’t let this deter you because the incredible folk at Panyl are injecting your Ikea pieces with bold coloured vinyl panels, Colorforms style. 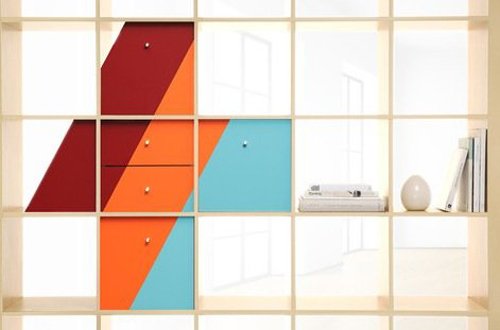 Customising your furniture has never been easier, using Panyl vinyls cut especially to fit doors and inserts found on (or available as extras) popular Ikea pieces. Installing Panyls is as simple as building your Expedit and amazingly straight forward, just peel and stick. Whatever your style, Panyl has you covered. A vinyl smorgasbord of thirty-two finishes, from natural look woodgrain to tangerine, lemon drop and everything in between, it’s a selection to thrill any interior design enthusiast. 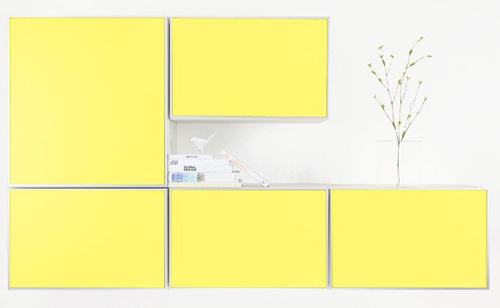 Panyl for Expedit single doors, drawers and double drawers are an affordable US$12 each. Head on over to Panyl to make your selection.